Installation of a complete CLEARCOM digital intercom system (wired & wireless) covering the needs of ERT3. 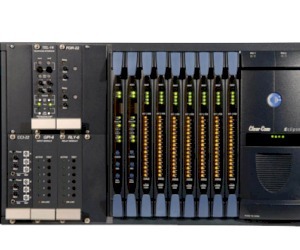 48 port digital matrix expandable to 96 port plus wireless DECT system(w 4 beltpacks) covering 2 studios. 10 intercom panels plus interfaces for 2w/4w connections.